I moved a virtual machine to a another hyper-v server without exporting the machine, just moved the vhd used it in a new machine. 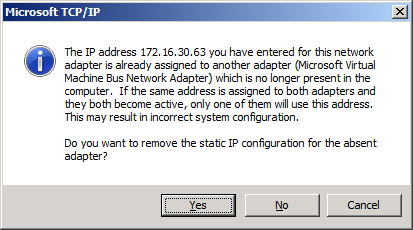 The IP address you have entered for this network adapter is already assigned to another adapter (Microsoft Virtual Machine Bus Network Adapter) which is no longer present in the computer. If the same address is assigned to both adapters and they both become active, only one of them will use this address. This may result in incorrect system configuration. You probably saw this error before if you tried to assign the same IP for multiple adapters, but the difference here is that I cannot find this adapter which is no longer present. 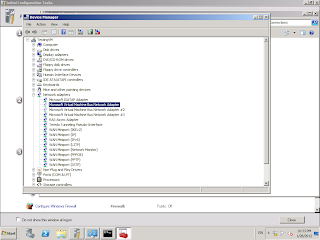 In the "network connections" I see only one adapter "Microsoft Virtual Machine Bus Network Adapter #3". What happened is that the new Hyper-v Server installed another instance of the network adapter (#3) and the old one from the previous server still exists. 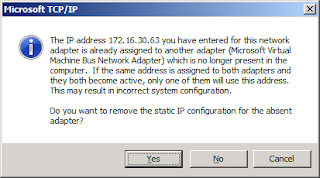 If you choose yes to remove the IP configuration, the IP will be removed but the old adapter will remain in the system. 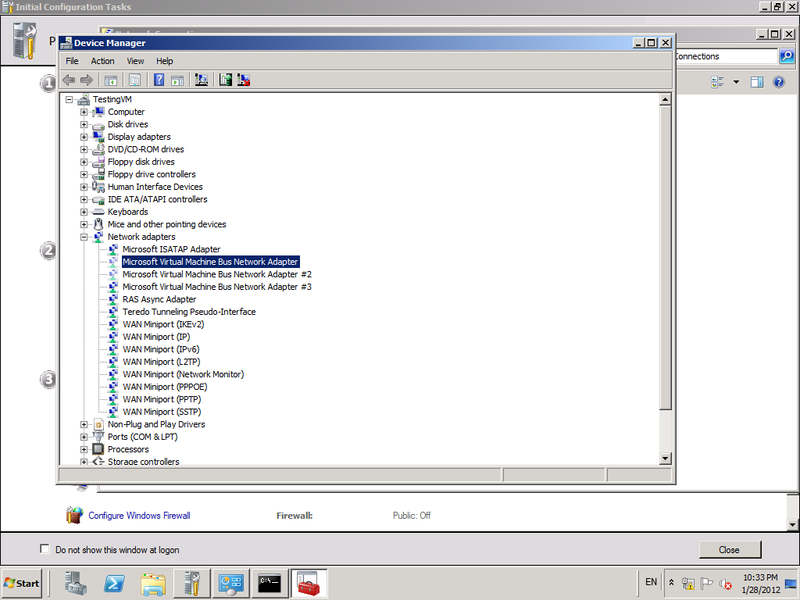 from the device manager (make sure you run devmgmt.msc from the same command prompt you set the environment variable in) go to View and check "Show hidden devices"
Expand "Network adapters" then delete the missing device. Many thanks for taking more time to make this site more interesting to all blogger specially for me.